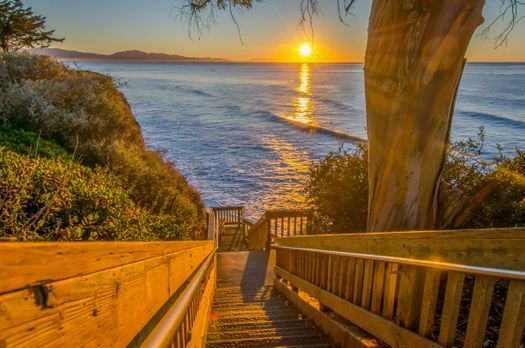 Located about an hour and a half north of Los Angeles in Central California, Santa Barbara is a beautiful city on the West Coast that offers both natural and historic charm. Often called the “American Riviera,” it’s a favorite for Hollywood’s elite when they just want to get away from it all, but you don’t have to be a millionaire to have a good time here. Plan the ultimate Santa Barbara getaway, no matter your budget, with these tips. 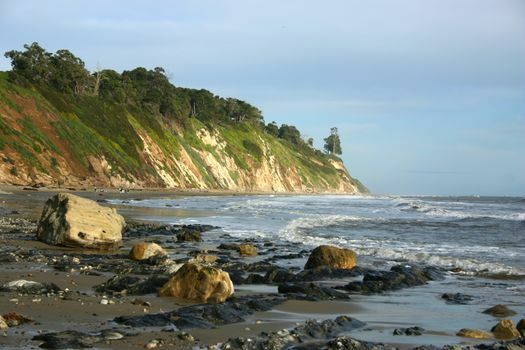 Santa Barbara may be right on the coast, but it’s easy to access, no matter your mode of transportation. As a matter of fact, the Pacific Coast Highway (or State Route 1) runs right through the city, making it a favorite stop for people driving up this all-American highway. The city is also home to the Santa Barbara Airport, which offers daily flights to and from many Western locations. If you’re not in a hurry and would like to enjoy some of Central California’s beautiful scenery, take Amtrak’s Coast Starlight train into town. It makes daily trips between Los Angeles and Seattle. Once you arrive in Santa Barbara, you can drive around town, or you can park you car and walk to your destinations. After all, the city is considered one of the most walkable communities in the country. Trolleys, water taxis, pedicabs, bicycles, buses and airport shuttles are also available. No matter your budget, you’re sure to find a place to stay in Santa Barbara that suits your needs. Like many beach towns, you’ll find your share of luxury homes, villas, hotels and resorts along the waterfront. Head into the downtown area for a selection of quaint inns and bed and breakfasts. The further inland you go, the better prices you’ll find on hotels and other vacation rentals. Spring and fall are considered the optimal times to visit Santa Barbara, but there really isn’t a bad time to come for a romantic or family-friendly getaway. Temperatures remain in the 60s and 70s year-round, but if you come between March and May, you’ll beat the summer crowds and avoid higher prices. If you plan to swim in the ocean, the water is much warmer during July and August. If you come between September and November, you’ll get here ahead of the rainy season that lasts through the winter. That said, the city experiences over 300 days of sunshine every year. The weather truly is gorgeous in Santa Barbara. 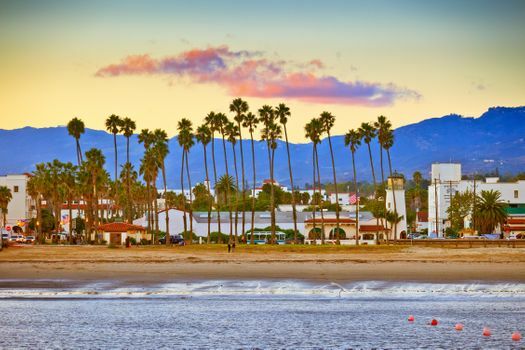 No matter the time of year, you’ll probably want to take a trip to Santa Barbara’s beautiful beaches, whether it’s to swim and sunbathe during the summer or just take a quiet stroll during the winter. Arroyo Beach is popular with pet owners because of its dog-friendliness. It even has a washing station for pups that like to dig in the sand. East Beach is considered one of the most family-friendly beaches in the area, and has lots of volleyball courts set up. Butterfly Beach is where you may spot a celebrity (but even if you don’t, you’ll definitely catch a beautiful sunset in the evening). For surfing and excitement, head to Leadbetter Beach, and for a laid-back kind of beach day, try Summerland Beach. While man has had a hand in carving out beautiful spaces in Santa Barbara, it’s a great spot for nature lovers to visit as well. The ocean waters just off the city’s coast are excellent for whale watching, and you’ll find several companies that offer boat tours. 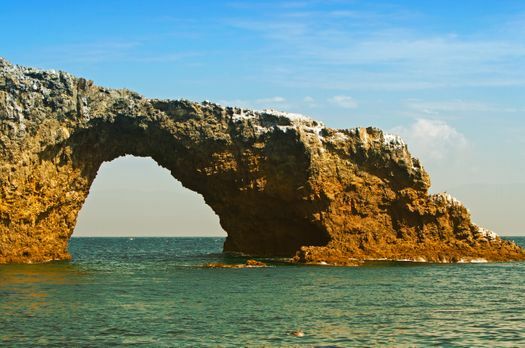 You’ll also find Channel Islands National Park out in the waters off the coast of Santa Barbara. Take a kayak tour around this protected marine sanctuary, and keep an eye out for whales, dolphins, seals, sea lions and sea birds. If you prefer to stick to land, take a hike or mountain bike ride through the trails at Los Padres National Forest. If you want to make sure you spot some wildlife before you go, take a trip to the 30-acre Santa Barbara Zoo, which features over 500 creatures. If you’re looking for even more exciting things to do, you’ll find several of them throughout Santa Barbara. 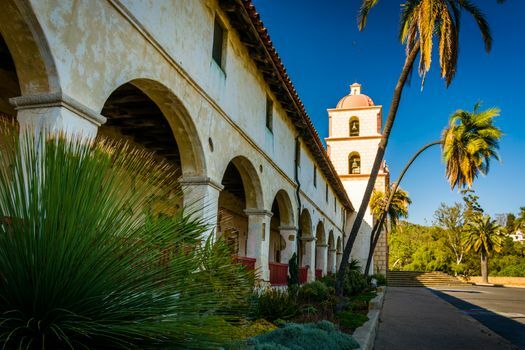 Learn about the area’s history at the Santa Barbara Museum of Natural History, Old Mission Santa Barbara or the Santa Barbara Historical Museum. For shopping, take a stroll down State Street, where you’ll find brands and boutiques you love mixed in with locally owned beach and surf shops. Paseo Nuevo is a fun, open-air mall filled with shops and restaurants. There are also four theaters in town where you can catch everything from plays and ballets to film screenings and stand-up comedy. For a more relaxing day, check out one of the city’s many spas and wellness centers.